I’m Kevin Appleby. 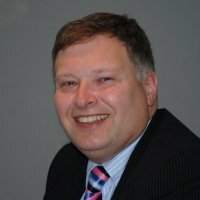 I live in the North East of England and I’m a business coach. I co-present The Next 100 Days Podcast. I’m an experienced Chartered Accountant (the UK equivalent of a CPA). I’ve been involved with small businesses for most of my life. I’ve also worked as a consultant with many major organisations to help improve business performance, and I’m bringing all this experience together to help business owners get out of overwhelm and do something special. I’m here because I am passionate about helping small and medium sized businesses achieve their goals. I know that most businesses of this size can’t afford consultancy support in the same way as the big corporates I’ve advised in the past. I don’t see why great advice shouldn’t be available to every business irrespective of size, so I want to advise and support in a much more affordable way. I’ve set up my own consultancy, and I’m also involved in two other family businesses. I know the challenges that come with managing all the day to day issues and how hard it is to identify and progress the things that will take the business to the next level. I’ve suffered the same overwhelm you feel. I’ve had the same struggles with generating enough sales and cash flow to make a business viable. I’ve learned a lot of valuable lessons along the way. I’ve spent most of my career involved in business improvement projects working with big corporations and public sector organisations. I’ve coached senior managers and directors, and helped them deliver their vision. One really important thing I’ve learned is that the problems in big organisations really aren’t much different to the problems in small ones, and I know that all these years of experience I have can be used to help smaller businesses succeed. The same tools and techniques the big guys use will work for you too. The key to success is setting the right business goals and values, and knowing how to take action to achieve them. You need to set yourself up to succeed with the right people and resources around you. Most importantly you have to free yourself up to do the things you enjoy doing and where you add the most value. A truly successful business is one that employees, managers and owners all enjoy working for. Yes, of course it needs to make money, but I believe it takes motivated people to produce the je ne sais quoi that makes the difference, provides customers with value, and the bottom line number follows on. Do you want to work with a Chartered Accountant who can be your virtual CFO. Do you want to work with a business consultant who has delivered change in some of the UK’s biggest organisations? If you are feeling overwhelmed, and you know your business could be so much better than it is today. I can help. The first step is simple, let’s have a chat. Hit the button below and book a free 25 minute consultation where we can talk through your current situation and explore how we might be able to work together.